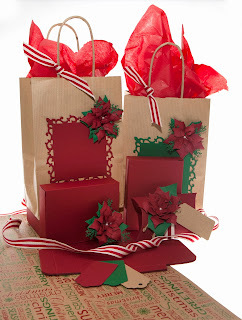 NEW Christmas Shop now open! 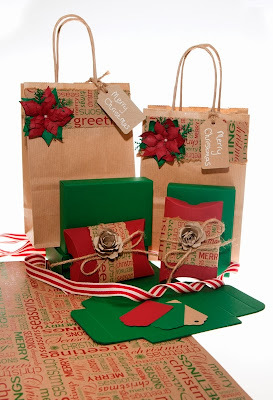 The nights are drawing in, the central heating is already on, it's time to start your Christmas crafting, AND it's only 77 days until Christmas, 11 weeks or 1848 hours away! 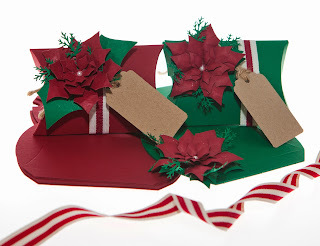 We have opened our Christmas shop on our website, which is packed with lovely goodies to make such as Christmas flower kits, brown kraft paper bag kits, pre-printed Christmas cards and much more. all our kits are made with recycled materials, and all the matching ribbons are available too, and are supplied to us by Jane Means. 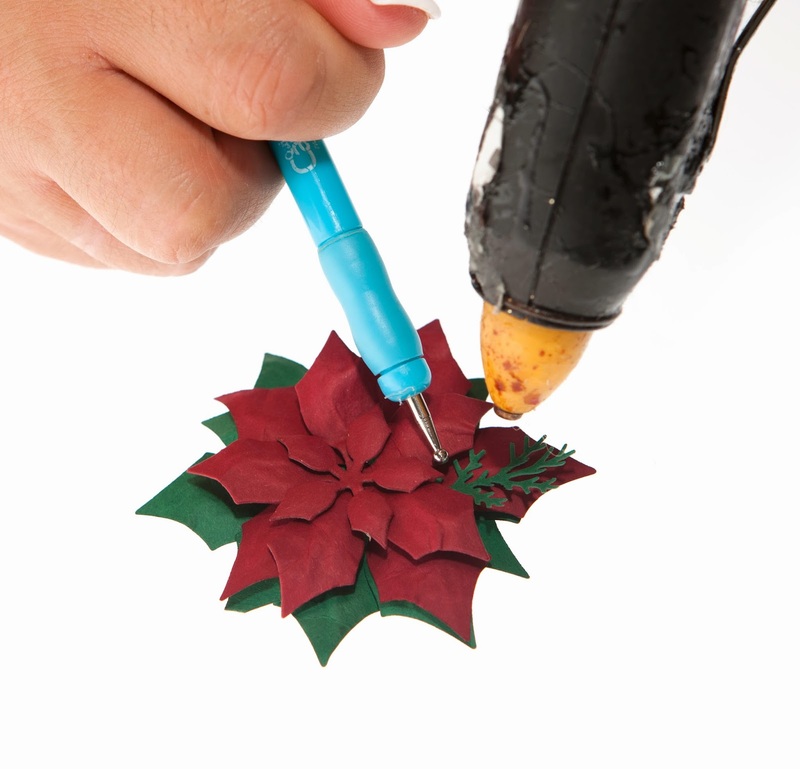 We also have all a new tools and materials section with glue, tape and embossing tools. We hope that we have something on offer to tempt to all. With so many of you buying the poinsettia flower kits from us, we thought it would be a good idea to show you a tutorial on how to make them. 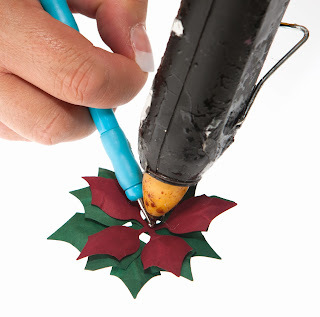 Firstly, if you are using a hot glue gun, switch it on! Otherwise, incredibly tacky glue is good, and can be purchased in our tools and materials section. 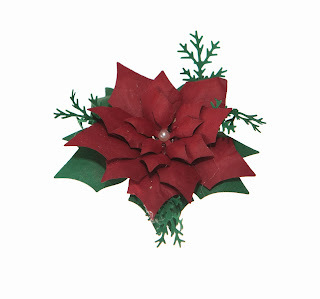 For each flower, you need 1 green large leaf, 1 large red leaf, 1 medium leaf, 1 mini leaf and green foliage. 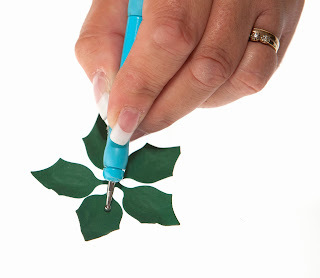 To make the flowers you need to add each flower one at a time, starting at the bottom green leaf - and build up one petal at a time, using glue until you reach the small petal for the top. 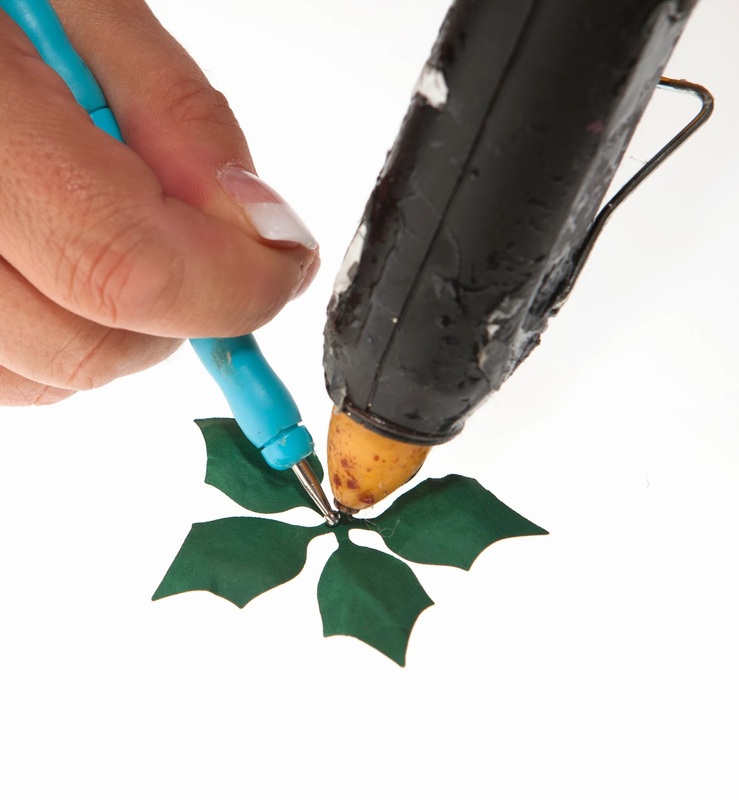 To make the petals and leaves look realistic, you need to break up the fibres by rubbing in small circles with a embossing tool. (Also available in our tools shop) I used the largest of the round heads for ease of purpose... Using the tool. rub in small circles all over each petal, it will make the leaves curl up slightly, this is how they are meant to look. It doesn't matter if you add a little too much glue at this stage, as it won't be shown. 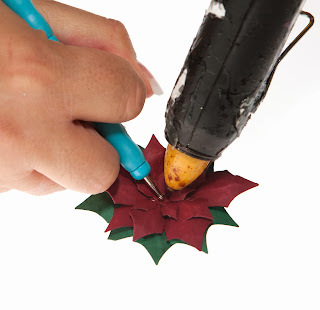 Add a petal at a time, adding glue after each layer. Lift the top petals randomly and add a little of the green foliage here and there.. I have added 4 to each flower, but you don't have to add that many if you don't want to! Add a little pearl to the centre ( available here ) to complete. 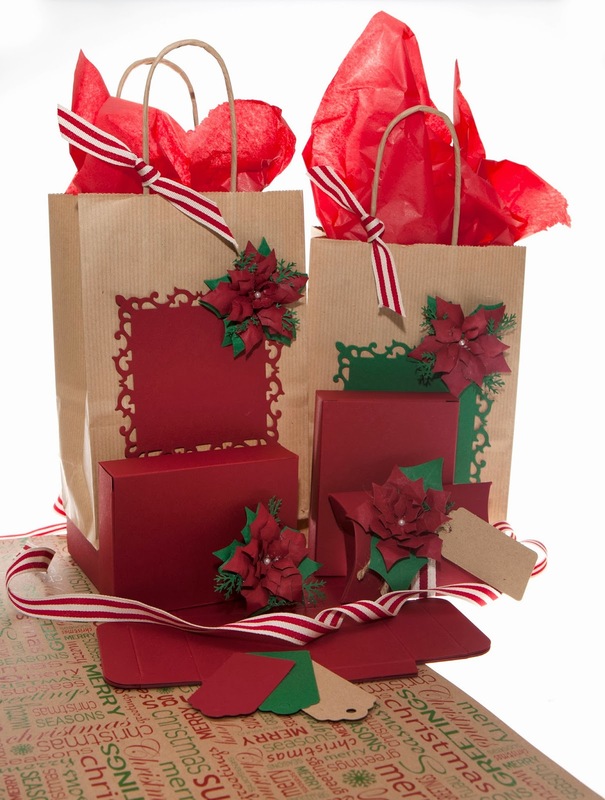 Decorate your Christmas gift boxes, gift bags, cards etc!